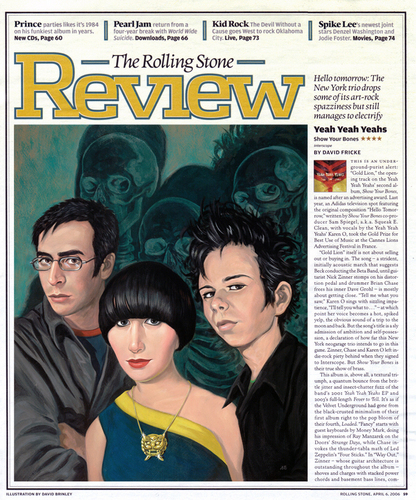 Rolling Stone Mag piece. always loved this piece/illo for Rolling Stone Mag! Very cool!. HD Wallpaper and background images in the Yeah Yeah Yeahs club tagged: karen o nick zinner brian chase yeah yeah yeahs posters. This Yeah Yeah Yeahs photo contains নকল মানুষের, কমিক বই, কমিকস, and কার্টুন.